Bland has, perhaps unintentionally, been an outlier among the four current Women's March leaders in that, until now, she has resisted the urge to make overt anti-Semitic statements. Her colleagues -- Sarsour, Mallory, and Perez -- have all been vocal, at one time or another, about their issues with Jewish colleagues, or their ties to the anti-Semitic Nation of Islam. Both Sarsour and Perez have a long history with NOI and its hateful preacher, Louis Farrakhan, and Mallory was revealed, in a pair of twin exposes released late last year, to have bullied a Jewish Women's March organizer. Bland, who was with the Women's March from the beginning did, reportedly, witness Mallory's exchanges, and did not pursue action against her. Instead, Bland kept the core group of four Women's March leaders together, even after the rhetoric and close ties to NOI were revealed. 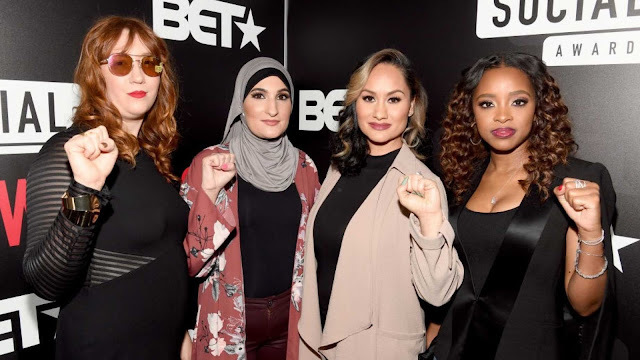 As a result, support for the Women's March has crumbled; most major sponsors pulled out of the national March this past January, and local groups have taken pains to distance themselves from the national group, led by Bland, Sarsour, Mallory, and Perez.